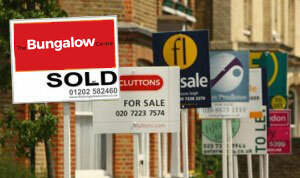 The problem with the UK property market last year has been an acute shortage of properties coming on to the market. Right from the start of the year people have been inexplicably reluctant to place their property on the market, even though it is known that there is a large number of people wanting to move. I am delighted to tell you that the outlook is beginning to change for the better. In the first eight days of August, we have been instructed to market more Bungalows that had been the case during the whole of July. Admittedly the Summer months are usually quiet therefore this is nevertheless an encouraging sign for the Autumn when the property market seasonally picks up towards the latter part of the year. So take heart, we should be able to offer you an ever increasing choice of Bungalows and Chalet Bungalows. It’s only to be expected that after 23 years of being the area’s leading Bungalow Specialist, we should be most people’s first choice when it comes to selling their Bungalow.